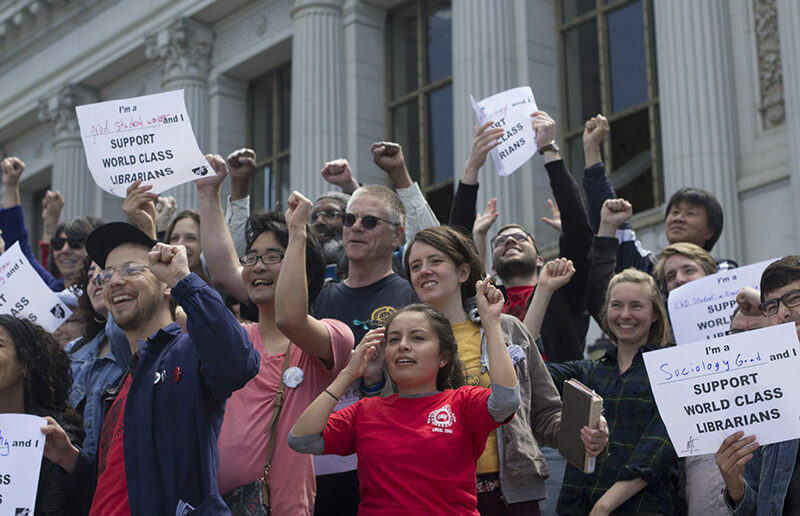 A union representing UC librarians began contract negotiations with the UC Office of the President, or UCOP, on Tuesday, arguing for increased pay for librarians, among other demands. Tuesday’s meeting took place in Doe Library and was the first in a series of meetings between UCOP representatives and the union, known as the University Council-American Federation of Teachers, or UC-AFT. The next meeting will take place on UC Irvine’s campus April 24. Mia McIver, the president of UC-AFT, said the UC librarian workforce has decreased significantly since 2000. McIver added that the UC is unable to retain qualified librarians because of low salaries and that the university is “disinvesting” from librarians despite a growing student body. 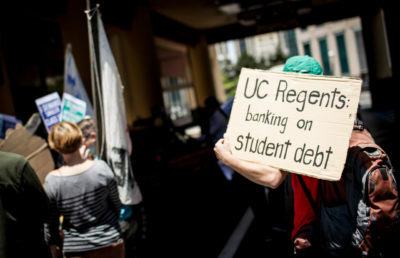 McIver added that UC librarians’ salaries are lower than those offered by the California State University system. UCOP’s goal is to reach a long-term deal that includes market-competitive pay, according to a statement provided by UCOP spokesperson Stephanie Beechem. “We recognize and appreciate the work that UC’s librarians do to support UC’s teaching, research and public service missions,” Beechem said in the statement. Tuesday’s meeting largely focused on librarians’ “academic freedom,” or the ability to pursue research without significant interference, according to Axel Borg, the chief negotiator for the UC-AFT librarians. Levine said librarians are expected to do research but do not have the same benefits as tenured faculty in conducting that research. UC-AFT’s demands also include a right to sabbatical leave, more funding and professional development for libraries, and housing assistance. According to McIver, the UC provides housing and mortgage assistance for some employees, including tenured faculty. She added that librarians’ low salaries are unreasonable given the high cost of living in the Bay Area and other UC campus sites. The contract negotiations are expected to last at least six months, according to Ben Harder, UC-AFT’s vice president for grievances. 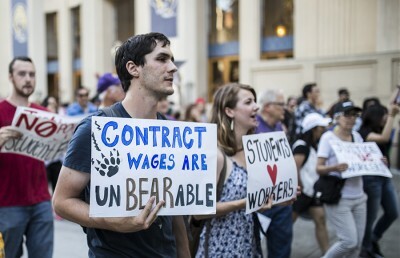 Harder, who led negotiations for UC lecturers’ most recent contract, said the process had spanned 45 separate meetings over 11 months. Adam Jadhav, a campus doctoral student in geography, said that as a graduate student instructor with more than 80 students each semester, he cannot sit down with each one individually and teach them research skills. Librarians, he said, are essential for supporting students in research and navigating the UC’s vast amount of resources. 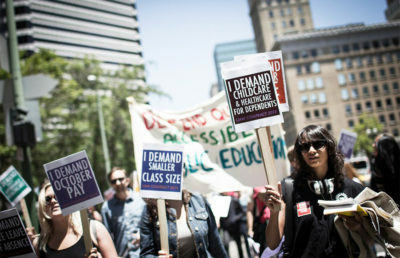 Roxi Power, a lecturer at UC Santa Cruz and UC-AFT’s vice president for organizing, said the union’s “No. 1 position” is that librarians are academics and that many of them are experts in their respective fields.